Windows 10 April 2018 Update (version 1803) is still rolling out worldwide as a free update for compatible desktops, laptops, and tablets. Windows 10 April update is the fifth major update that tech giant Microsoft is releasing and it offers a new set of features and modifications to enhance productiveness, overall performance, and protection. This update is the first of two updates coming out this year. We all know whenever a new update is released, a set of new issues arise amongst users because feature updates are totally different from the regular updates we get every month. This occurs majorly due to the reconstruction of the Windows 10 OS which often introduces compatibility problems and new bugs that may impact the Windows experience negatively. When you’re performing a fresh installation of Windows, you’re most likely not face any issue with any new update. But of course, we don’t want to clean install Windows each time there’s a new update since we can update directly via Windows update. 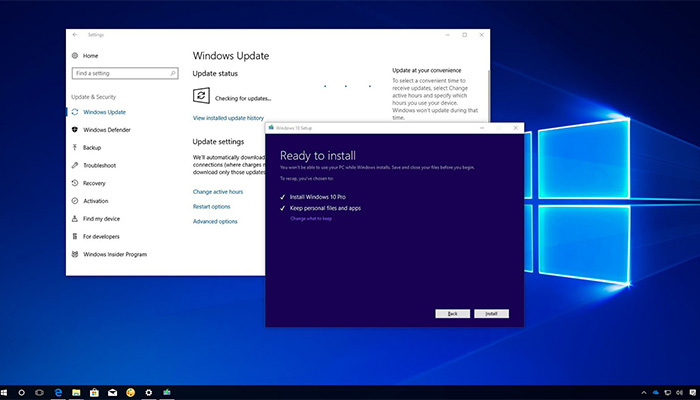 However, Windows update installation could fail sometimes due to outdated/incompatible drivers, conflicts amongst programs, and some personalization you may have applied may prevent an update from installing. One of the major issues users has faced upgrading to Windows 10 April update is the Blue-screen error which occurs during installation. I ran into Blue-screen twice trying to install the update. I checked online for solutions, and most of the answer I got was talking about removing drivers, hello! I have so many drivers installed, uninstalling all of them is as good as a fresh installation of Windows. So, in this guide, I’ll be sharing the quickest and easiest way to fix Windows 10 update error during installation which has worked for me. 1. Go to Windows settings. 2. In the settings, click update and security. 3. Now, click on Troubleshoot. 4. On the troubleshooting windows, click Windows update under getup and running. 5. Click the run troubleshooter and wait for it to gather information regarding your update error. 6. Once the troubleshooter has identified the error, Click the Apply this fix option (if applicable). 7. Follow the on-screen prompts. 8. If you encounter a windows update database not fixed as shown above, simply run the troubleshooter again. 9. Finally, Restart your device. After completing the above steps, try upgrading your Windows again and see if it solves your update issue. Also, try disabling any anti-virus engine running before performing upgrades. Like and share if this simple guide helped you fix Windows 10 1803 update error during installation. If you’ve been searching for how to download Windows 10 iso image in order to make a bootable media for your laptop or PC, then you’re in the right place. Windows 10 is the latest Windows Operating System from Microsoft and it contains loads of interesting new features and performance tweaks to give your laptop/PC the boost it needs to run smoothly. Windows 10 first made public debut 29 July 2015 and since then it has been receiving major updates that have boosted the OS and kept it more secured for users. If you’re still running on the older Windows version, you might want to switch to Windows 10 now because Windows 10 is focused more on security and performance. There are several ways you can download Windows iso, but in this guide, I’ll be sharing the easiest guide on how to download windows 10 iso. The most common method of downloading the Windows 10 iso image is via the Windows Media creation tool. But, do you know you can easily download any Windows OS iso file with your smartphone from Microsoft website without using any windows app? 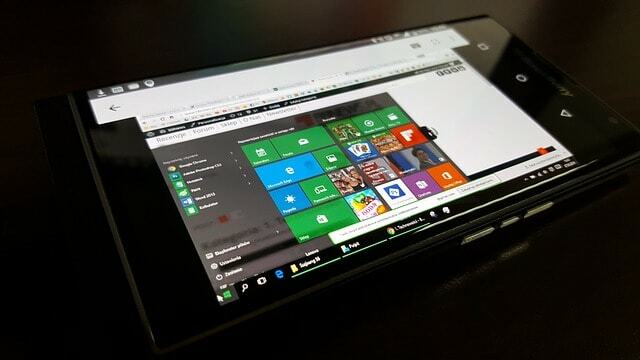 Downloading Windows iso file with your smartphone is a lot easier and faster, compared to when you’re downloading via Windows media creation tool or with any other third-party software. Since many of us would also like to download using our PC, I’ll be sharing how you can use this same method to download on your PC. Step 1. Launch Chrome browser or any browser on your smartphone. Step 2. Visit Microsoft software download page in your browser. Step 3. On the download page, tap the select edition option to select the version of Windows 10 you want to download and click confirm. Step 4. Once you tap the confirm button, your request will be validated and then you’ll have another option appear to select your product language. Step 5. After selecting your preferred language, you’ll be taking to the download page where you’ll have to select the Windows 10 OS to download according to your PCs architecture. If your PC is 64bit then select 64bit and if your PC is 32bit (86bit), select 32bit and your download will begin immediately. Every download link generated on the download page is valid for only 24hrs. So, if you did not complete your download before 24hrs, you’ll have to start your download all over. For does who would like to download with their PCs, you must have a browser like Opera, Chrome, Firefox or any other browser that allows the use of plugins or extension. I’m using Chrome for my download, but the process is the same for all other browsers. Step 1. First off, visit Chrome web store and Install user-agent switcher extension on your browser. Step 2. Once user-agent switcher is installed, Click on the icon on your browser and select iOS or Android. If you selected Android, just select any Android version on the next page and that’s all. What User-agent actually does is that, it tells your browser that you’re browsing with a smartphone and not a PC. When you visit Microsoft software download page, instead for seeing an option to download the media creation tool to download your OS, the page will be rendered in mobile view, so you can easily proceed with the steps i already explained earlier. That’s it, now you’ve learnt how to download Windows 10 iso file without media creation tool or another third party app. If you find this guide helpful, please like and share and don’t forget to subscribe to get more useful updates.